Why do ours products from Prophecy BMX offer such a good price-performance-ratio? This come from our Channel of distribution with ours products mainly available in direct sales on our website. 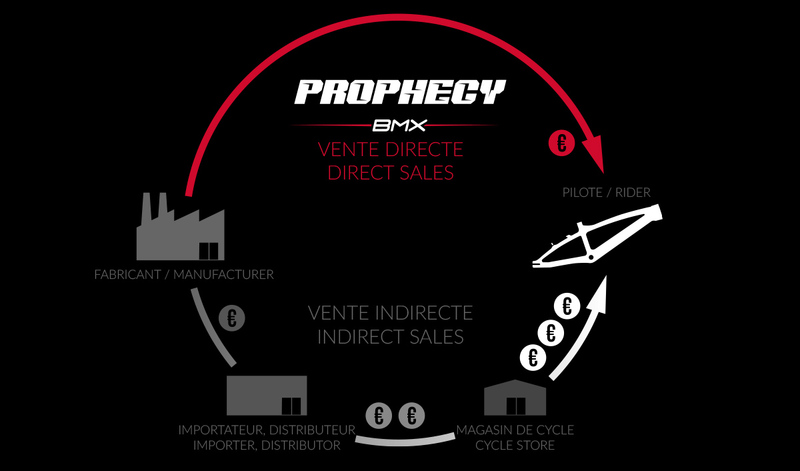 Beside for customer who prefer use more conventional distribution channel, Prophecy BMX has created international sales structures with our Prophecy BMX partners which can be local shops or even distributors for some countries to help to handle the worldwide distribution of Prophecy BMX.